Interstate Lawsuit Funding provides litigation funding in the city of Atlanta, Georgia. If you are a resident of Atlanta and presently searching for a form of lawsuit funding, let Interstate Lawsuit Funding’s quick and efficient legal funding process work to your advantage. Here, the loan professionals are fully equipped to provide the best funding options on the best terms available for Atlanta plaintiffs. If you have been involved in an auto accident, slip and fall, act of negligence, class action lawsuit, or another kind of personal injury lawsuit, Interstate Lawsuit Funding can provide a cash infusion of up to $5,000 to qualified plaintiffs. While you have an attorney working your case to ensure you receive the maximum settlement amount, we can provide litigation funding in the form of a lawsuit loan cash advance at any stage in the litigation process to bridge the financial gap while you await your final settlement. West Georgia Tech College, which sits about 25 miles south of Atlanta, can expect to have a class action lawsuit filed against them for abruptly cutting their football program, without a just cause. The program was started in December 2012 and had already signed on recruits and a full roster. Now, with the plug being pulled on the new football program, Viondi Pate, the former defensive line coach of the program, expressed his concern over students and parents filing a class action lawsuit against West Georgia Tech College. According to Pate, “These players have some really big losses,” he stated. Since most families of the players have already paid tuition and signed leases, the termination of the football program could take a huge financial toll on these families. If you have been involved in a class action lawsuit, or any other kind of personal injury suit, Interstate Lawsuit Funding will work diligently to get you the cash you need. In most cases, the insurance companies want to see you settle for less. At Interstate Lawsuit Funding, we want to see your attorney work as long as it takes to get you the full settlement amount you deserve. While some cases may take longer than others, we understand the importance of litigation funding. Depending on the severity of the injury involved in a personal injury case, some plaintiffs could be left out of work for weeks, even months. A lawsuit loan is the simple way to maintain household bills, house payments and repairs, car payments, and everyday expenses. Animal Attack – Assault – Boating Injury – Bus or Public Transportation Accident – Class Action – Construction – Discrimination – Medical Malpractice – Premises Liability – Wrongful Death – Wrongful Termination – and more. Get the cash you need today. If you live in Atlanta or the surrounding area and need an immediate decision lawsuit loan, let the professional staff at Interstate Lawsuit Funding get you the funding you need and deserve. All loans through Interstate Lawsuit Funding are considered non-recourse, which means the loan is 100% risk-free for the client. There is no credit check or proof of income necessary to get started. We only get paid when you receive your final settlement. If, for some reason, your attorney does not win your case, you are not obligated to pay anything back to us. To get started, consider all expenses associated with your personal injury lawsuit. Then, apply for a quick-decision lawsuit loan by filling out the 30-second online application. Once your application has been received and processed, you will receive a check via postal mail. 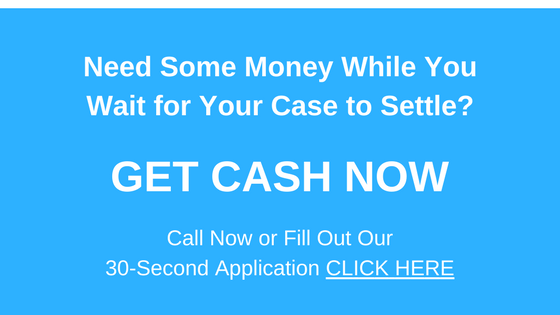 You can begin using your lawsuit loan cash advance as you wish. Get started today by filling out your application.